The Swiss military has indicated of its desire to retire 27 Northrop F-5s from service. Four aircraft have already been donated to museums. The rest have been grounded and buyers have been found. 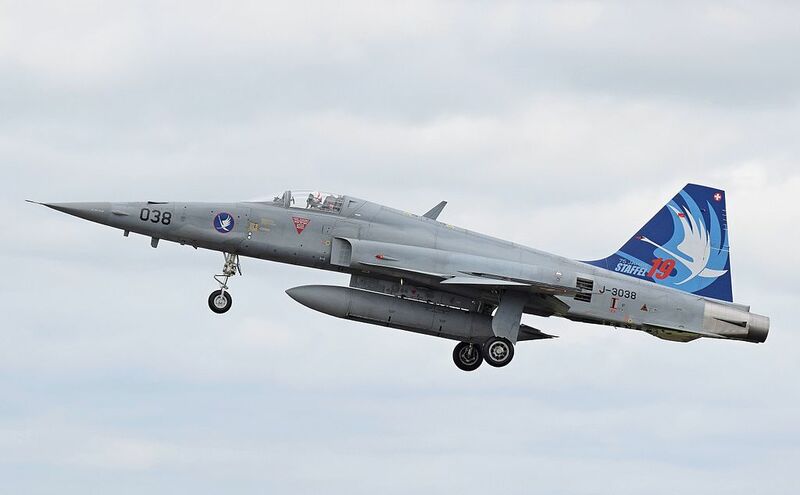 Switzerland will be left with 26 active F-5s. These aircraft will flank the Swiss Air Force F/A-18 Hornets until the acquisition of new fighter jets. Noteworthy last July Switzerland kicked off a multibillion-franc competition to replace its ageing fleet of F-5 fighter jets, and older model F/A-18 fighters, inviting five European and U.S. weapons makers to submit bids by January. The selection of the new aircraft will be based on a report prepared by a group of experts who will evaluate several fighter jets, specifically the JAS-39 Gripen, the Eurofighter Typhoon, the Dassault Rafale, the Boeing F/A-18 Super Hornet and the Lockheed Martin F-35 Lightning II. The purchasing of new fighter planes stalled after the Swiss people voted against the acquisition of 22 JAS-39 Gripen fighter jets in 2014. The F-5 is an agile, highly maneuverable, reliable supersonic fighter, combining advanced aerodynamic design, engine performance and low operating costs. More than 2,600 were built by Northrop and under co-production and licensing agreements with Canada, the Republic of China, the Republic of Korea, Spain and Switzerland. Since two-thirds of F-5 user countries also operate F-16s, F/A-18s, F-15s or Mirage aircraft, the F-5’s role has shifted from a prime fighter to a lead-in trainer.